Lenovo has launched its new budget smartphone, the Lenovo Vibe K5 in India. Lenovo Vibe K5 was first unveiled at the Mobile World Congress 2016 with the Vibe K5 Plus which has already been launched in India in March. The Lenovo Vibe K5 has been priced at Rs. 6,999 and it will soon be available exclusively from Amazon India in three color variants. Let us take a look at the Key Specifications of Lenovo Vibe K5. 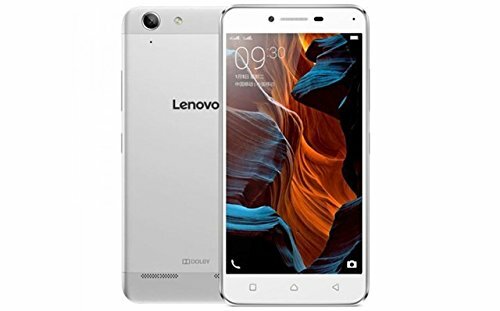 Lenovo Vibe K5 features a 5 inch HD display with a screen resolution of 720×1280 pixels and comes with a pixel density of ~294 ppi with 178 degree viewing angle. It is powered by a 1.2 GHz Octa-Core Qualcomm Snapdragon 415 processor and Adreno 405 Gpu. It comes with 2 GB DDR3 RAM and 16 GB of internal storage which is expandable up to 32 GB with a microSD card. The Vibe K5 runs on Android 5.1 Lollipop and it supports VR Theater Max Technology. Talking about the camera, it sports a 13 MP primary camera with autofocus & LED flash. On the front, it is equipped with a 5 MP camera. Connectivity options on the device include 4G LTE, Wi-Fi 802.11 b/g/n, hotspot, Bluetooth v4.1, GPS, microUSB v2.0, FM Radio and USB OTG. The dual SIM Vibe K5 smartphone is powered by a 2750 mAh battery which gives it up to 32 hours of 2G talktime and 15 Days of standby time. It weighs around 142 grams and its dimensions are 142 x 71 x 8 mm. Sensors on the phone include Accelerometer and proximity sensors. The phone will be available exclusively on the online store Amazon India from 22nd June 2016, 2 PM and the registration will begin soon. The Phone is priced at Rs. 6,999 and it will be available in Gold, Silver, and Grey color variants. Hi, Can you review this ASAP?